This set consists of 4 stencil sheets. 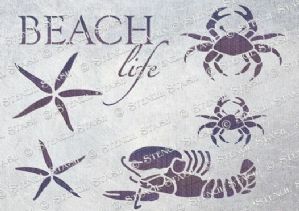 One with text, one with 2 starfish, one with 2 crabs and one with a lobster. 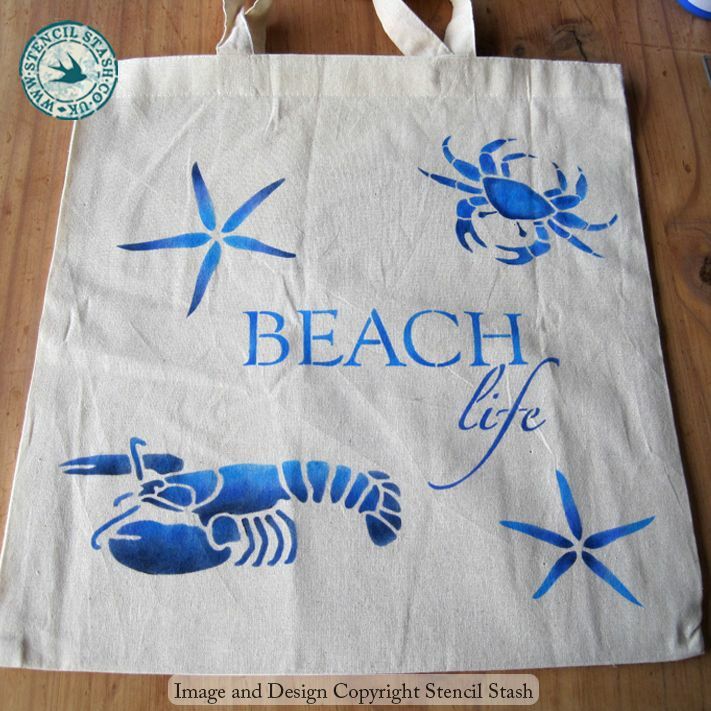 The text measures w185 x h110mm, 7x4.5"
The starfish measure w100mm and w80mm, 4" and 3"
The crabs measure w135mm and w90mm across, 5.5" and 3.5"
The lobster measures w190mm across, 7.5"
The text measures w260 x h160mm,10.25x6"
The starfish measure 140mm and 115mm, 5.5 and 4.5"
The crabs measure w190mm and w130mm, 7.5 and 5"
The lobster measures w270mm across, 10.5"